Your home heating and cooling systems work very hard throughout the year to keep you comfortable. Like all machines, they can wear out over time. To stay cool all the way through 2015 and beyond, you’ll need a healthy and strong HVAC system. To keep your system in peak condition, you’ll need to invest some time and effort. Here’s how to practice good home HVAC care. Just like muscles and joints, HVAC systems will wear out quickly if you put too much weight on them. Good HVAC care starts with your thermostat: The less your HVAC systems have to work, the less wear and tear they’ll endure. During the cooling season, experiment with higher temperatures until you find the warmest your family can comfortably stand; that’s somewhere between 76 and 79 degrees for most people. During the heating season, likewise try out some lower temperatures. Making those adjustments will also improve energy efficiency, as every degree lowers your energy usage by about 8 percent. In any forced-air system, such as a central air conditioner or furnace, the air filter plays a vital role by removing dust and dirt from the air going into your home. A dirty air filter will not only lower indoor air quality but also reduce the efficiency and effectiveness of the system. You need to change or clean each air filter every one to three months, depending on the type of filter. If you have a reusable filter, wash it carefully with water and let it air dry completely before putting it back in the system; trying to wipe it dry may damage the filter. If you use disposable filters, buy your replacements from a factory authorized dealer to make sure they’re properly sized for your system. Regardless, keep the system switched off while the filter is out; running your air conditioner without a filter is just asking for maintenance issues. Changing air filters is part of good home maintenance, but there’s much more to keeping your heating and cooling systems healthy and strong. At the beginning of the season and periodically thereafter, carefully inspect the wiring for corrosion or rust. Make sure there’s nothing blocking the flow of air into or out of the unit, and look for any visible signs of damage or disrepair. Catching those little issues early makes it much easier for your HVAC technician to diagnose and treat the problem. Home maintenance is valuable and important, but to really keep your HVAC systems at peak performance, you’ll need to invest in professional HVAC maintenance. 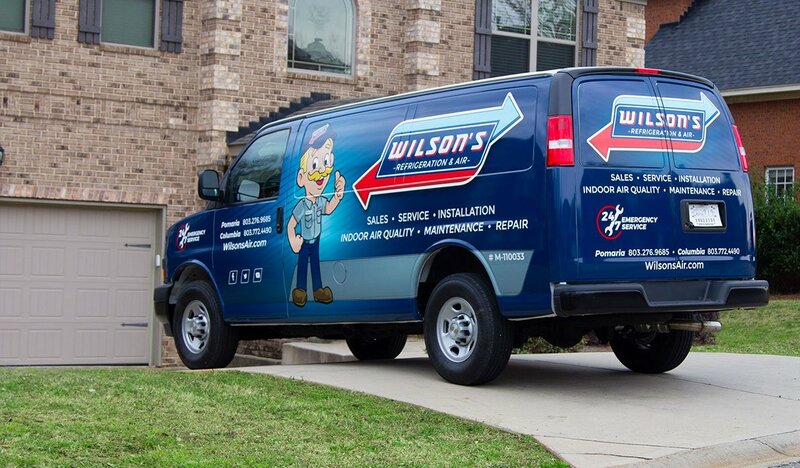 At Wilson’s Refrigeration, we’re proud to offer annual service agreements to help you make the most of your home climate control. Our technicians will make calibration adjustments to maximize energy efficiency and, more importantly, repair any emerging issues before they can turn into major problems. 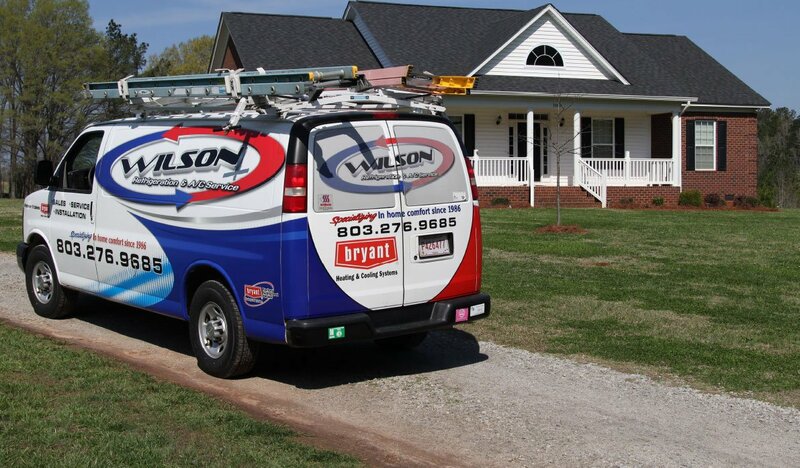 You’ll be able to rest assured that your HVAC systems are in good hands.